Steven ‘Steamrolla’ Kennedy steps into the octagonal circle on November 14 for UFC 193, the first UFC event to be held in Melbourne. His name is currently up in lights at Theme Park at its Darkest. How old are you, Steven? What titles have you held? I have been Australian champion for K-OZ at light-heavyweight, middleweight and welterweight, as well as SFA middleweight, AFC middleweight and Roshambo welterweight. I have also been Australian freestyle wrestling champion at 96kg, and Pan-Pacific BJJ champion at 85kg. Plenty, but none that I was any good at! How did you become involved in martial arts? I was watching Van Damme movies [as a kid] and I remember one day, my dad came home with a karate suit! He got me and my brother doing it and was super-encouraging. What styles have you trained in? Why did you settle on MMA? What’s the attraction? MMA is the coolest version of what is [essentially] a nerdy past time. What do your parents/family/partner think? My wife trains harder than I do and nowadays, my family is definitely proud of me. My older brother has been one of the driving forces since the beginning and my little bro has fought heaps and trains with me still! What’s the Aussie MMA scene like? Good enough to breed good talent, but fighters need to stop trying to be a big fish in a small pond. Who was your toughest opponent to date? The scales! My training partners are much tougher than my opponents, but my hardest fight would be a toss-up between Perth heavyweight Dean Roberts, and New Zealand fighter Sam ‘Striker’ Brown. 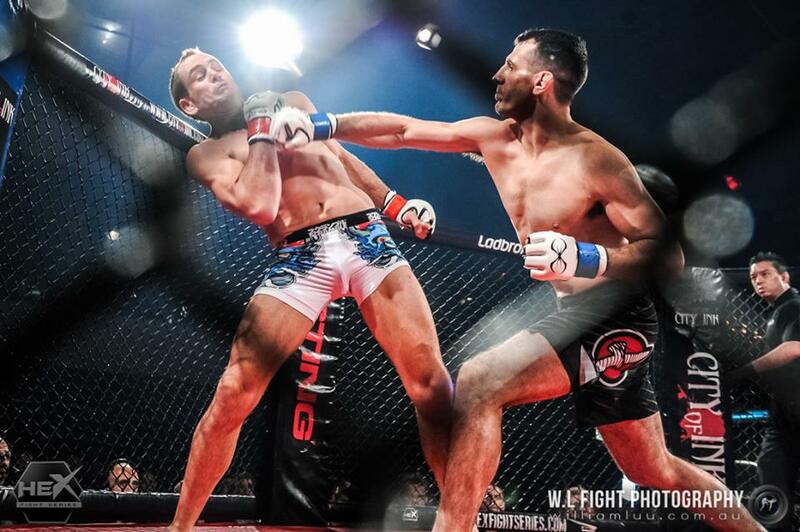 Have you competed in other styles, like Muay Thai or straight Jiu Jitsu? Yeah. 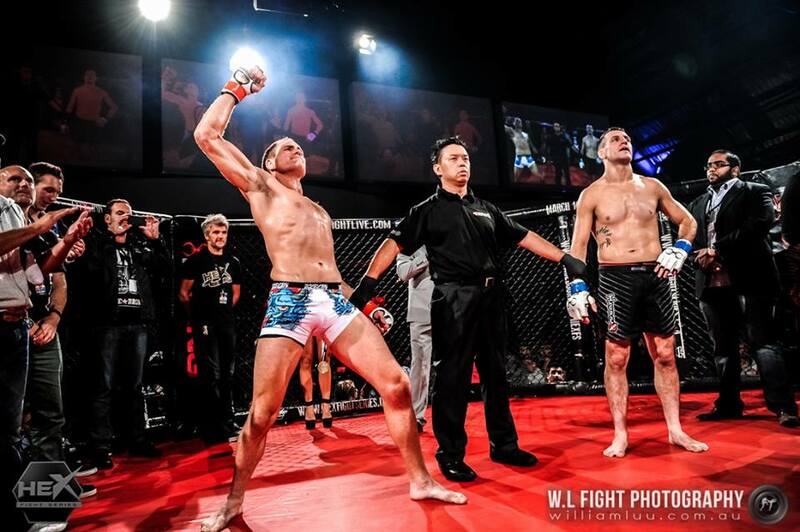 I’ve entered lots of grappling comps, wrestling matches, pro and amateur Muay Thai and boxing. [I’ve also done some] weird stuff like Pancrase Elite Striking in South Africa, ‘Combat 8’, K1, judo and Kyokoshin karate. How did you become involved with the UFC? Beating people up! I had a good record and they needed a replacement fighter on short notice – I was the right guy at the right time. Suckerpunch Management played a huge part. Do you have a certain number of fights to your contract, or is it on a fight-by-fight basis? It’s a four-fight contract. I’m one fight down but it doesn’t mean anything unless I perform. What do you expect of your opponent, Richard Walsh? He’s a tough, dumb fighter. Fighting in front of a full-house at Etihad stadium is a huge thing. What do you think it’s going to be like, fighting in front of so many people? Louder than usual, but still the same old, same old [thing]. Are you a full-time pro fighter? Do you have to work? What do you do? I was courier driving up until 6 weeks out for ‘Total Supplies and Stationery’ (plug plug). I run a gym called ‘Kickass MMA’, which is the greatest place in the world. I also do selective personal training and stereotypical bouncer work on the weekends. Tell us about your ‘gofundme’ project. I ran out of money during fight camp. [Unfortunately] I don’t have any million dollar endorsement deals just yet. One of the guys from the gym set it up and promotes it for me. It literally saved my life! You can help Steven by making a donation to his gofundme project here. 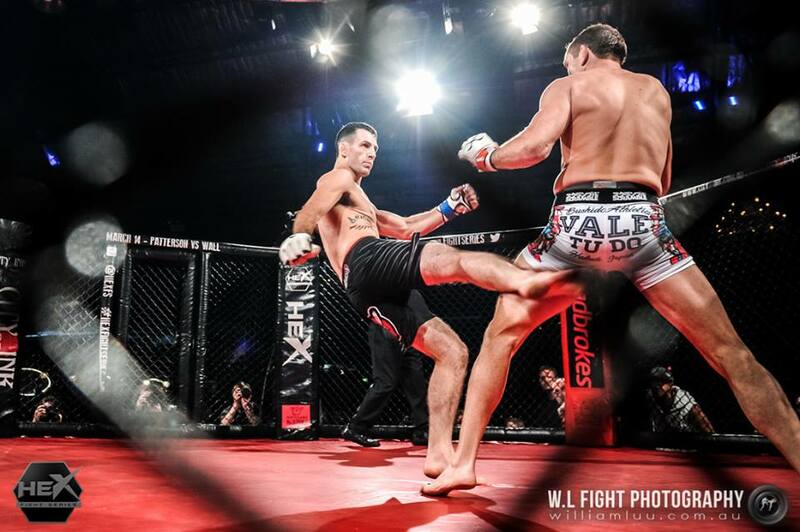 Thanks to William Luu at WL Fight Photography for the use of his excellent images. 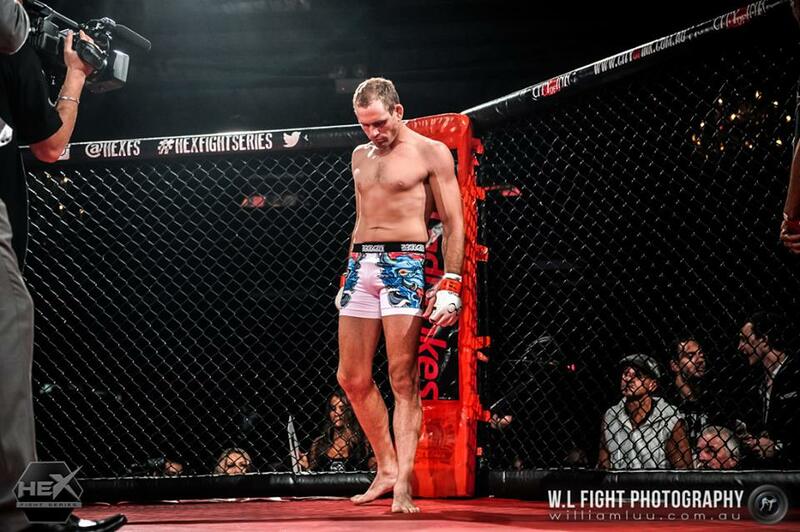 This entry was posted on October 22, 2015 at 4:50 pm and is filed under Martial Arts, MMA, Steven 'Steamrolla' Kennedy with tags AFC, Brazilian Jiu Jitsu, Dan Roberts, Etihad Stadium, gofundme, Jean-Claude Van Damme, Judo, K-OZ, Kickass MMA, Kyokushin karate, MMA, Muay Thai, Pancrase, Richard Walsh, Sam 'Striker' Brown, Steven 'Steamrolla' Kennedy, Suckerpunch Management, Total Supplies and Stationery, UFC, UFC 193, WL Fight Photography, wrestling. You can follow any responses to this entry through the RSS 2.0 feed. You can leave a response, or trackback from your own site.